Herb Kohler snorkeling for golf balls? Pete Dye on the brink of getting fired from a job? 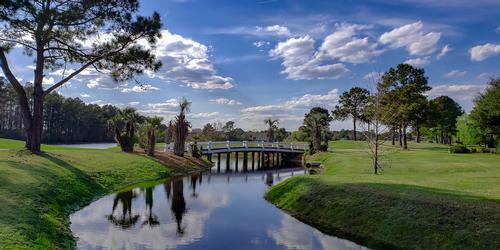 Horseback riding on and through a world-class golf resort? 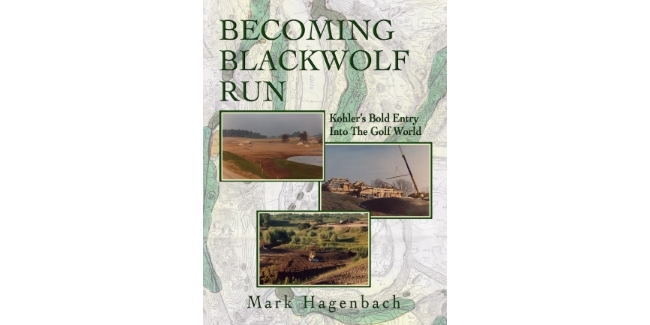 Believe it or not those are a few of the stories told in an eBook titled Becoming Blackwolf Run, a first-hand account of the beginnings of one of Wisconsin's top golf facilities which later expanded to become known as one of the world's top golf destinations. Located in the quaint village of Kohler, Wisconsin, just five miles from Lake Michigan, Blackwolf Run today is made up of 36 holes. 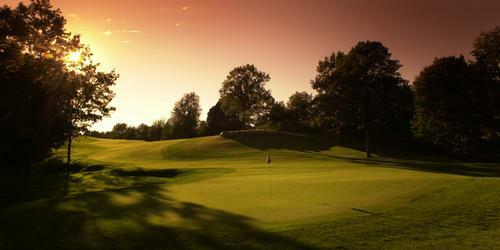 It teams with 36 holes at Whistling Straits just outside Sheboygan to form Kohler Company's golf empire in the state. The author, Mark Hagenbach, had a front-row seat to the creation of Blackwolf Run. He was the first golf professional there. As a former country club pro from Chicago, he tells of the spectrum of emotions he went through transitioning into a more corporate setting. Or, in his words, learning "the Kohler Way." Opened in 1988, Blackwolf began as an 18-hole golf course before the River, Meadow Valleys and Straits and Irish courses at Whistling Straits were even imagined. The original 18, which eventually was separated to make up the River and Meadow Valleys courses, is no longer used as a regular routing. 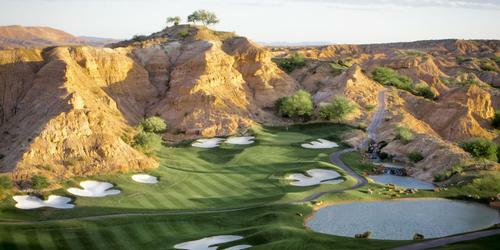 The original holes were, however, used as a composite to stage two U.S. Women's Opens (in 1998 and 2012). The author refers to the original routing as the Premier Course and makes his case known for it as the best 18 holes ever strung together by the Kohler Co. While the eBook gives equal and proper due to the operational forces behind the scenes - from the food and beverage staff to the grounds staff to the hourly employees - it also tells the tales of the big players - Herbert V. Kohler (HVK), CEO of the Kohler Co., and Dye, the course builder. The two figures prominent in creating "Destination Kohler" sometimes clashed - see Chapter 9 where the tree hugger HVK vs. the tree destroyer Dye nearly got Dye fired - but in the end came together to form a long working relationship. In the 1980s, Kohler Co. was a leader in toilet manufacturing before successfully expanding into other lines of business including golf and hospitality. It also owns a course in Scotland (the Dukes) and two properties (the Old Course Hotel and Hamilton Grand) in St. Andrews along the Old Course, host of 2015 Open Championship. Whistling Straits has been the host of the PGA Championship three times including 2015. 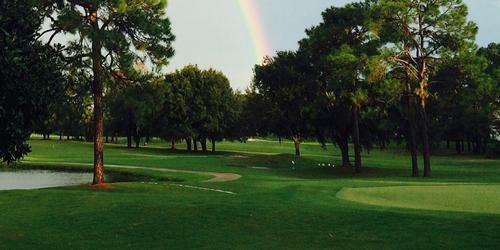 The Straits was more than 10 years out from opening when Hagenbach took over at Blackwolf. In his writing he recalls a meeting at the 1988 PGA Championship at Oak Tree in Oklahoma where Dye introduced Kohler to the executives at the PGA which may have set the wheels in motion for championship golf at Kohler's Wisconsin courses. The author was a part of several key moments in Kohler's golf history including a late-night meeting regarding course expansion as well as dinners and conversations with both Dye and HVK. Those stories portray HVK as a complicated man but also a genius businessman with a lighter side. The author calls HVK a "thespian more than a visionary." There is plenty of basic information over 84 pages - such as breakdowns of each hole and construction details - but the most entertaining personal touches come late in the eBook. Chapter 19 (Herb's Follies) is a collection of anecdotes probably only known to those close to the operation at Blackwolf. It reads like fiction. Here is where readers will learn of HVK's hobby of searching for balls in crystal-clear Vivier Pond just outside the clubhouse and of the passing idea of horseback riding being a part of the Blackwolf experience. That latter never happened but a corral still exists in some form hidden just before entering the parking lot. Chapter 20 (Holing Out) includes odds and ends about characters, items, places, notes and numbers meant to offer some personality to the experience. Becoming Blackwolf Run is available at smashwords.com and through Barnes and Noble and on iBooks. Information about the eBook can also be found at getpureplaygolf.com.